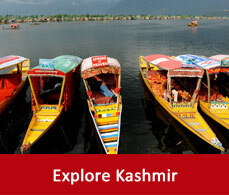 Srinagar a world famous tourist destination is full of beautiful and exciting places to visit. People from various parts of India and abroad come here to worship its beauty and to pacify their eyes. Nestled in the valley of Kashmir on the banks of the Jhelum river it is a paradise on earth which is also called a honeymooner’s craving land. 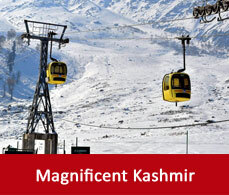 Srinagar tour packages cover all these places and will be lifetime experience of your life. 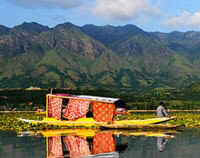 Dal lake, Srinagar is the enchanting attraction of Srinagar which lay over an area of 26 sq. km. It has a small lake and a big lake. It is feeded by the waters of springs and also from the mountain lake of Mar Sar. The western part of the lake is anchored by some bigger and smaller islands. the most interesting feature of this lake is that it has the floating garden on its banks since the banks of the lake is very fertile for cultivation. Various vegetables grow on the fertile soil of the lake. This lake almost looks like a maze as it is a combination of three lake, many islands, floating garden, Srinagar houseboats that almost looks like islands. It is the evidence of Mughal legacy and a symbol of love for Nur Jahan from Jahangir. History says that Jahangir built this garden to please his wife Nur Jahan. Spreaded over an area of 16 sq. km. this wonderland is built in persian style. This is a huge garden with beautiful fountains spouting out its water into the pools, flowers adorning the gardens and some restaurants inside to satisfy your appetite as well. 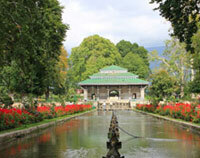 Among the tourist places in Srinagar this garden is worth visiting. 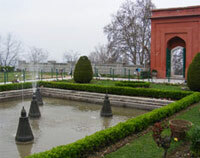 It is a small garden built in the era of Shah Jahan. It is built around a spring from where it gets its name. 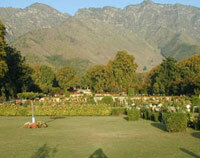 Located at a good height of Zabarwan range this garden is full of chinar trees and colourful blooming flowers. Though the garden is small but the view of the Zabarwan range at the backdrop of the garden the waters of the spring flowing across the garden makes it a speechless experience. The water of the spring is also said to have some medicinal properties so when tourists come here they do not forget to take one bottle of water with them. One of the largest gardens of kashmir, Nishat Bagh is situated near to the Dal lake with the Zabarwan range at its backdrop. The snow capped Pir Panjal range and the beautiful Dal lake can be seen from this garden. Each terrace of the garden is designed in different zodiac symbols from where you can have a look of the flowers blooming brightly in the garden. This garden has also a spring which supply crystal clear water to the garden that runs through the middle of the garden. This religious place is located near to Dal lake opposite to the Nishat Bagh. Built in beautiful white marble it reflects its image on the waters of the lake. 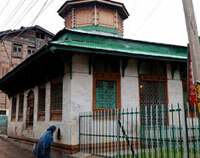 It is famous as it houses the hair of the Prophet Muhammad which is displayed to public on occasions. The great Shankaracharya temple is situated on the peak of a hill at a height of 1100 ft. above the surface level. This temple is dedicated to Lord Shiva and shares the view of the beautiful valley of Kashmir. It is also famous for its architectural significance. Hari Parbat hill is believed by the Hindus to be the sacred place of Lord Vishnu and Parbati from where they defeated the lake demon of Kashmir. There is also a fort which can be viewed from the outside but the entry to the fort is restricted for the public due to security reasons. 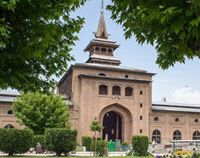 Surrounded by the streams and chinar it is one of the sacred places of Srinagar sightseeing which is dedicated to the hindu goddess Raganya Devi. It is said that Lord Rama worshipped Raganya Devi during his exile. 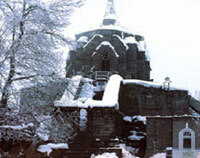 after his exile was over he asked Lord Hanuman to shift the place of Raganya Devi in this temple of Kashmir. 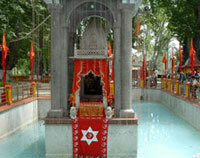 People offer milk and Kheer in the waters of the spring of this temple. One of the sacred mosque of Kashmir which is truly followed by the Islamic followers this masjid is constructed with 370 pillars of wood and is vast expanse of architectural specimen. The repairing work of this mosque has been started from the reign of Maharaja Pratap Singh and it is said that he has laid his hand of financial assistance to the mosque as well. 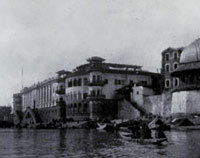 It is a place of the historic evidence. 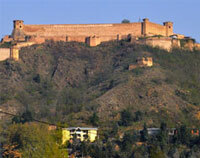 The Maharajas of Jammu and Kashmir from the Dogra dynasty used to stay in this palace. 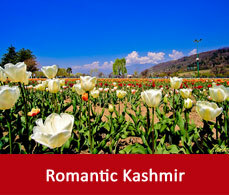 It is a national park in Kashmir which houses various species of floras and faunas. It has some of the exotic species of animal which is very rarely seen. 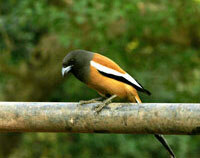 Mainly it is a park for bird lovers which also shares its beautiful view of Kashmir. 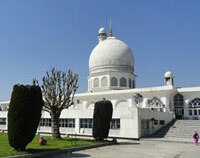 It is a shrine located on the Kanyaar place of Srinagar. Rauza means tomb and bal means place that inherits that a landing by the place. It is built by a side of the lake.